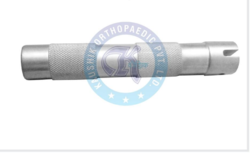 Operating from India, Kaushik Orthopaedic Corporation is engaged in the manufacture and export of Stamples & Stampling Instruments. We are one of the most reliable organizations in our sphere catering to various hospitals. 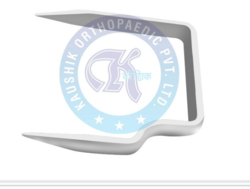 Supported by a team of dedicated and highly experienced professionals, we are engaged in manufacturing and exporting a huge variety of Epiphyseal Staples. 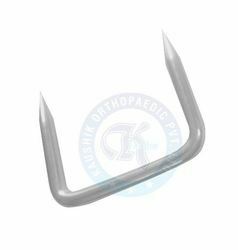 The use of two or more staples on each side of the epiphysis is recommended. To suit the budgetary limits of the clients, we offer our range at most affordable rates in market. We are one of the renowned names in industry, engaged in manufacturing and exporting an exclusive range of Starter for Staples. Our range is widely used in medical institutes, hospitals and clinics. We have made the use of premium grade raw materials and sophisticated technologies in fabrication of these staples. Our range is delivered after checking and analyzing them on several industry standards. Looking for “Stamples and Stampling Instruments”?